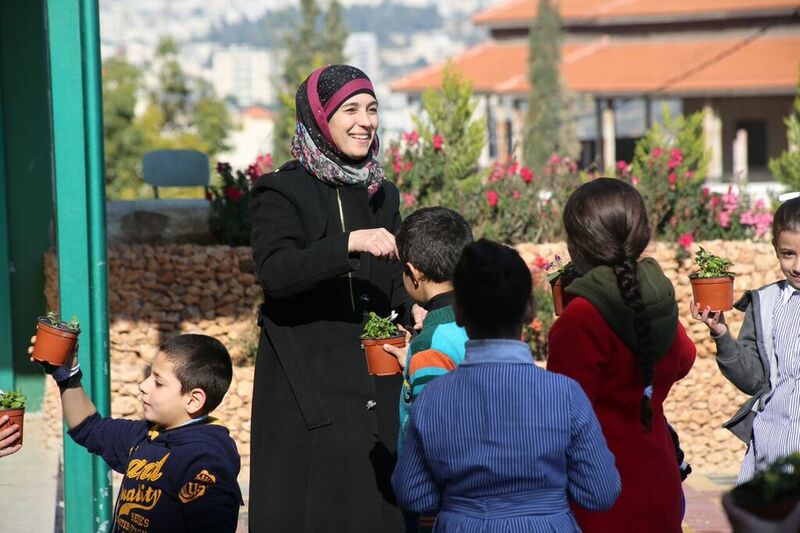 Hanan grew up in the Palestinian refugee camp, Bethlehem, where she was regularly exposed to acts of violence. 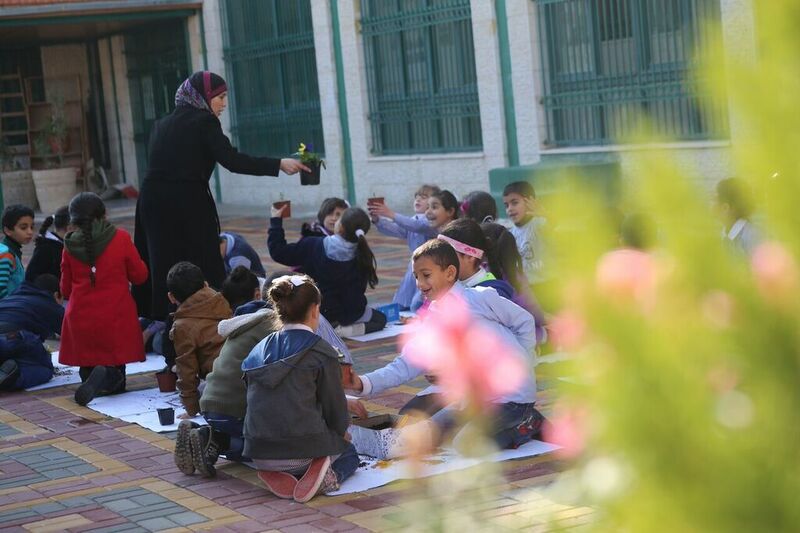 She went into primary education after her children were left deeply traumatised by a shooting incident they witnessed on their way home from school. 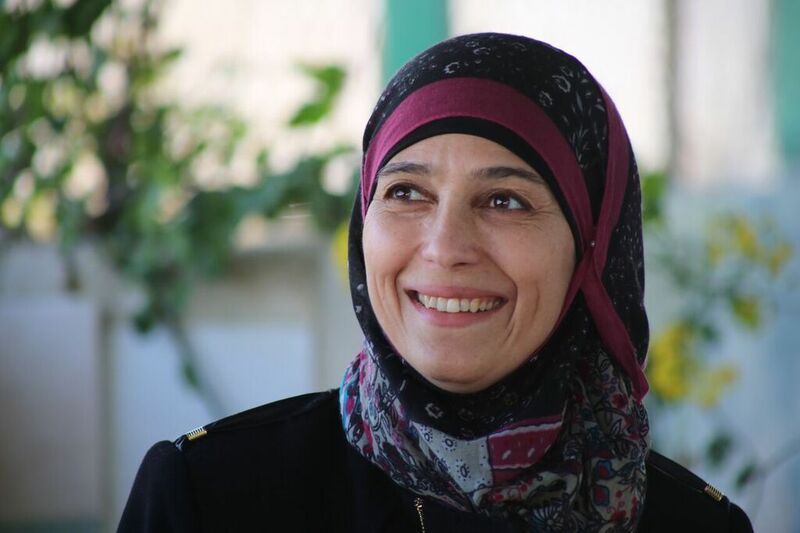 Her experiences in meetings and consultations to discuss her children’s behaviour, development and academic performance in the years that followed led Hanan to try to help others who, having grown up in similar circumstances, require special handling at school. 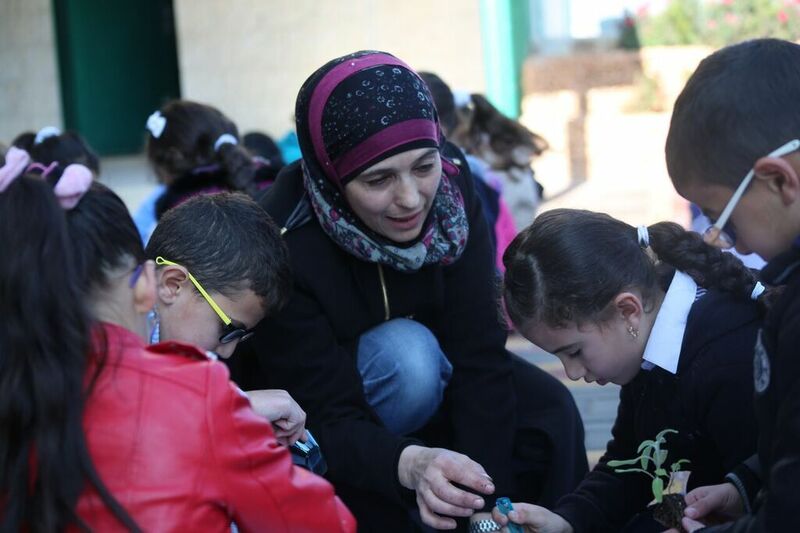 With so many troubled children in the region, Palestinian classrooms can be tense environments. 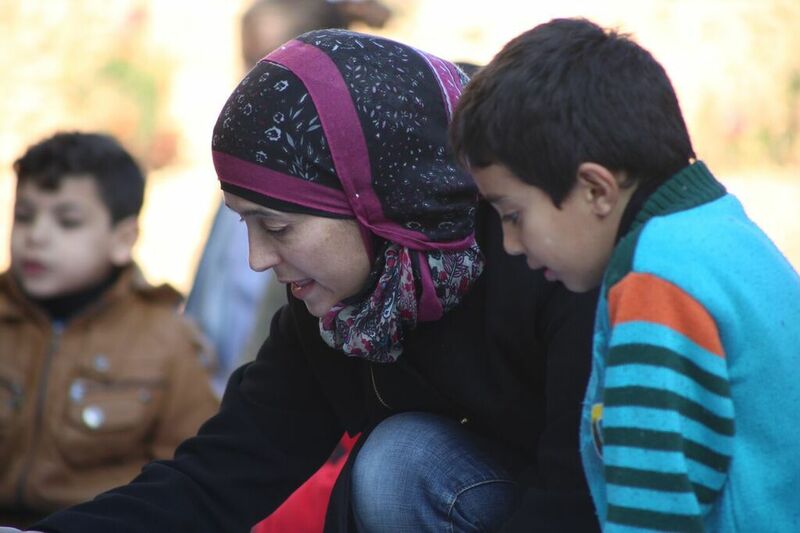 Hanan embraces the slogan ‘No to Violence’ and uses a specialist approach she developed herself, detailed in her book, ‘We Play and Learn’. She focuses on developing trusting, respectful, honest and affectionate relationships with her students and emphasises the importance of literacy. She encourages her students to work together, pays close attention to individual needs and rewards positive behaviour. Her approach has led to a decline in violent behaviour in schools where this is usually a frequent occurrence; she has inspired her colleagues to review the way they teach, their classroom management strategies and the sanctions they use. 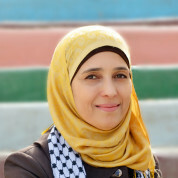 Hanan has shared her perspective at conferences, meetings and teacher training seminars. She hopes that, with education, her people can reclaim their homeland.